After the success of 3d sensation Avatar, James Cameron may be thinking of releasing his movie masterpiece Titanic in theaters once again. The Titanic movie would be a 3d version of the previously highest grossing movie of all time before avatar and just in time for the 100th anniversary of the sinking of the Titanic. A report in the Los Angeles Times states that the blockbuster director is currently in the process of converting the Titanic movie into 3d and will re-release the masterpiece in 2012 in order to commemorate the Titanic 100th anniversary. The 1997 film which stars Leonardo DiCaprio and Kate Winslet won 11 Academy Awards and was previously the highest grossing movie of all time. Depicting a fake romance aboard the Titanic, the movie uses the perfect amount of history and Hollywood flare to create a movie that is compelling and offers a great look into what it meant to be part of the Titanic disaster. A re-release of this movie will likely be one of the largest movie events of the decade, and a reason to once again fall in love with the Titanic story. Although many individuals are skeptical on the necessity to release every single movie in 3d, Cameron is on the forefront of the movement. With Avatar becoming the highest grossing movie of all time, the landscape of movies has been changed forever. Expect some of the classic films from your life being released in stunning 3d. 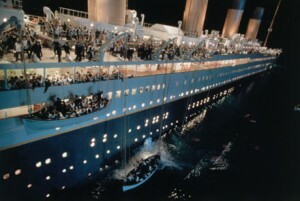 One of the reasons that Titanic is so riveting as a 3d film is the feeling of being part of the event. A person aboard a doomed vessel, feeling exactly what the characters in the film are, the 3d Titanic experience is sure to be something that is kept in mind of a long period of time. It’s not every day that one of the highest grossing movies is re-released in theaters with an entirely new landscape. Count on James Cameron to once again blow audiences away with a beautifully re-designed Titanic landscape in 3d. 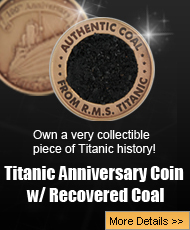 Witness the triumph and tragedy of the Titanic in an entirely different way and relive the events that took place on April 14, 1912. Just in time for the Titanic 100th anniversary, Titanic the movie will hit the theaters and captivate audiences around the world once again.